Just what George needed, another toy. 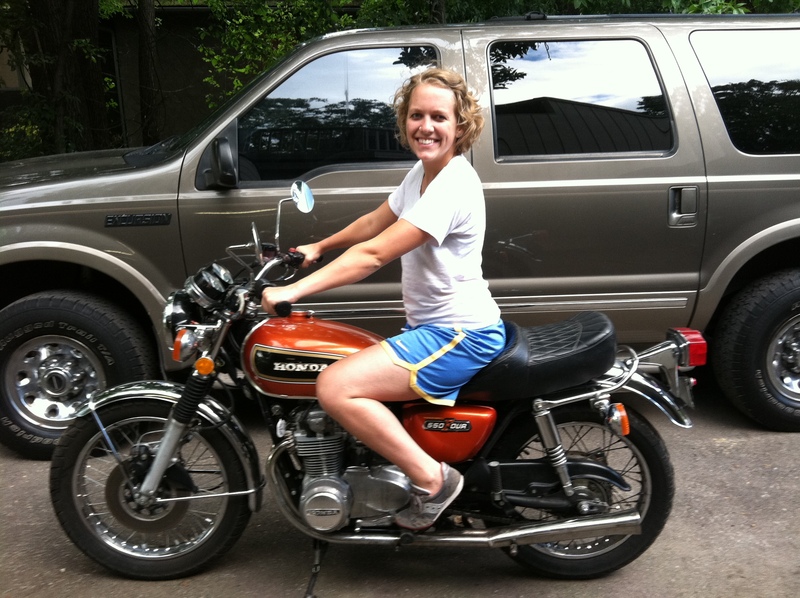 This is Diana (check out family night) on a sweet 1975 Honda 550 the that George found as a project and with a friend fixed it up to near factory condition. This entry was posted in George on May 11, 2011 by hassislee.